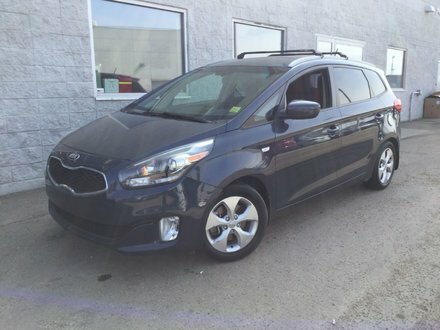 This 2017 KIA RONDO LX has 2.0L engine, automatic tranmission, HEATED FRONT SEATS, MULTIFUNCTION steering wheel, BLUETOOTH, AM/FM/CD/MP3, POWER windows, POWER locks, KEYLESS entry, USB ports, air conditioning and lots more!!! This BRAND NEW Rondo still will save you THOUSANDS off new, and still has the reamining FACTORY WARRANTY (5yr/100,000KM) KIA ranked #1 in initial quality by JD POWER, 4 YEARS in a row!!! The ALL NEW North Edmonton KIA is proudly serving the Edmonton & St. Albert area! Follow us on social media: Facebook, Instagram, Twitter, YouTube! 2.0 L 4 Cylinder - 4 cyl.